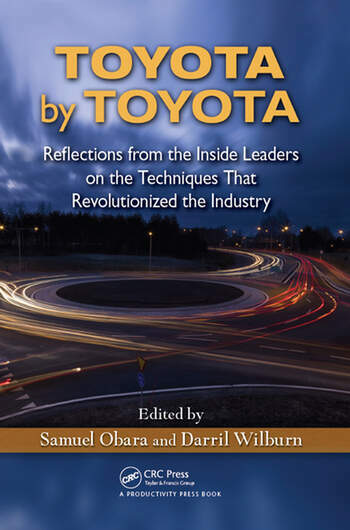 Written by former Toyota associates, Toyota By Toyota: Reflections from the Inside Leaders on the Techniques That Revolutionized the Industry focuses on the purpose of Lean methodologies, techniques, and principles. It compiles more than a century of combined experience from management-level employees who supply little-known insights about the Toyota Production System (TPS)—featuring many who worked directly with Taiichi Ohno. A common thread that weaves these stories together is that each contributor had to learn their lessons the hard way. Although there is no magical, painless way to learn Lean, the authors hope that by sharing their experiences and struggles, you can avoid having to struggle through the same lessons. Readers will benefit from seeing the various approaches used to teach, as well as the unique way these authors translate that learning to the reader. So, What Is the Purpose of Using Jidoka? Do You Really Need a Method? How Well Do You Understand the Problem? How Well Can You State the Problem? How Well Do You Understand the Causes? Samuel Obara learned and implemented the Toyota Production System (TPS) while working at Toyota facilities for 13 years in Japan, Brazil, USA, and Venezuela. With close to 30 years of TPS experience by 2011, he had helped over 350 companies in diverse environments ranging from education and government agencies, to manufacturing companies and banks in a variety of countries, including China, The Philippines, Canada, Indonesia, Brazil, Japan, Austria, Africa, Russia, the U.K., and the U.S. He is a faculty member with the Lean Enterprise Institute in the USA and Mexico. He is also a faculty member with San Diego State University’s Lean Enterprise curriculum. He has been a guest lecturer on Lean for post-graduate classes at Stanford University, MBA classes at University of Southern California, University of California, San Diego, and Lean Institute’s summits in Poland, Netherlands, Brazil, USA and Mexico. Darril Wilburn led the development and implementation of some of Toyota Motor Manufacturing North America's most important leadership development programs. 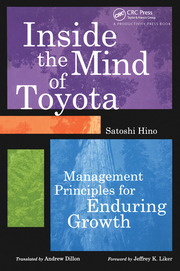 He led the Toyota Way 2001 (Toyota core values and principles) implementation at Toyota's largest manufacturing plant in North America, and also worked with The Toyota Institute in Japan to develop the Toyota Business Practice (TBP), leading the global pilot of this program, as well as the North American Senior Executive sessions. 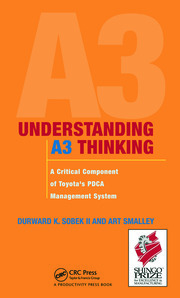 While at Toyota, Darril studied the Toyota Production System as a student of OMDD, Toyota's internal Sensei group. He was also part of the team that launched Toyota Motor Manufacturing Texas, where he led the assimilation and training of new to Toyota management. As a Senior Associate at Honsha, Darril has had the opportunity to work with the public and private sector on projects that reflect the current global economic condition. Working with one of the largest mortgage banks in the USA, he and his Honsha team have implemented a redesign of the workflow to increase productivity and reduce cost and lead times, and is currently working with the State of Washington to develop a Lean culture that will help transform the way state government does business. What is our Purpose? Addressed honestly, this hard question triggers the necessary reflection on shortcomings and weaknesses that are the fuel for improvement. It is a recurring theme in this volume. … Hansei, the Japanese word meaning humble and frank reflection, is another important concept in this book. Reflection, often glossed over, is fundamental to TPS and the PDCA cycle. This book records the reflections of several Toyota veterans—reflections on how they learned TPS and how they’ve applied the learning in companies around the world. —Pascal Dennis, Shingo Prize-Winning Author and President of Lean Pathways Inc.